Photo: Stephen Harris Taft House, ca. 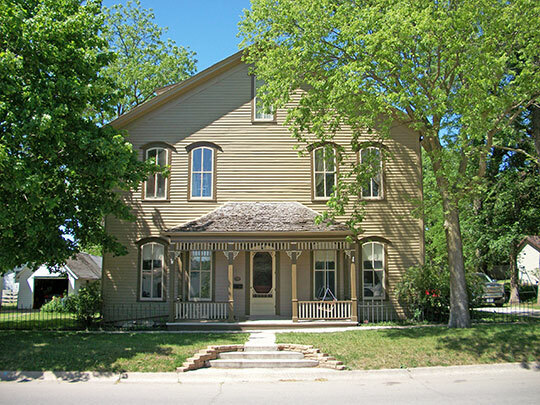 1864, 809 First Avenue North, Humboldt, IA. Listed on the National Register of Historic Places in 2002. Photographed by User:Brandonrush (own work), 2011, [cc0-by-1.0 (creativecommons.org/publicdomain/zero/1.0/deed.en], via Wikimedia Commons, accessed December, 2013. The Humboldt County Courthouse is located at 293 Main Street, Dakota City, IA 50529; phone: 515-332-1571. The county was organized in 1851.